Discussion in 'Project Progress' started by Project-Z, Aug 5, 2009. I don't post a lot on the forums, but I keep up with reading on all your build posts. I am not a professional car guy, and this is my first full on restoration with all of the work being done by myself. I am currently finally getting to building a '72 RS Z28 and have been inspired by all of the builds here. I took some ideas from all of the body carts I have seen here, and built my own for the early second gen. I used the fisher body manual, and I added 10" to each vertical dimension. 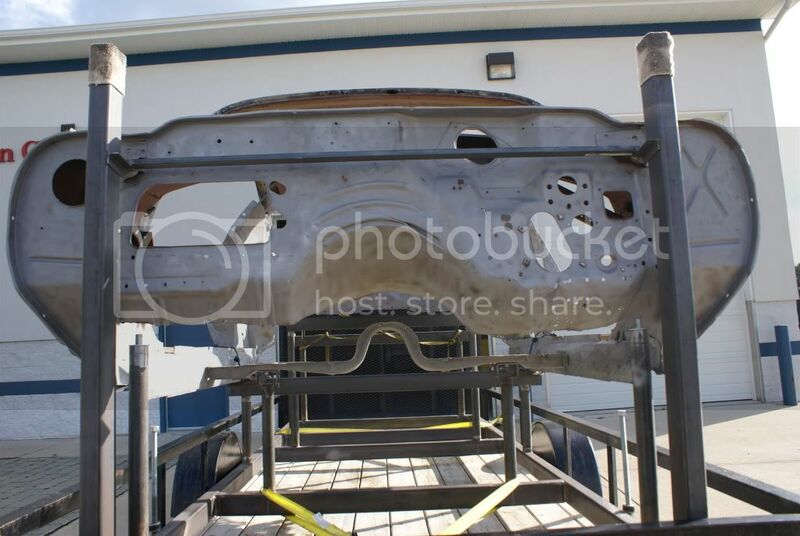 It sure made it a lot easier to crawl around during the sand blasting. I used 2" x 3" 3/16 wall tubing for alot of the frame, and the uprights are 1-1/4" schedule 40 pipe which is almost 2" outside diameter. I used 5/8" all thread as my leveling bolts, and after I move the jig, I can re-level it in about 5-10 minutes using my digital level to 0.0 degrees. The digital level certainly helped get all of the uprights plumb. 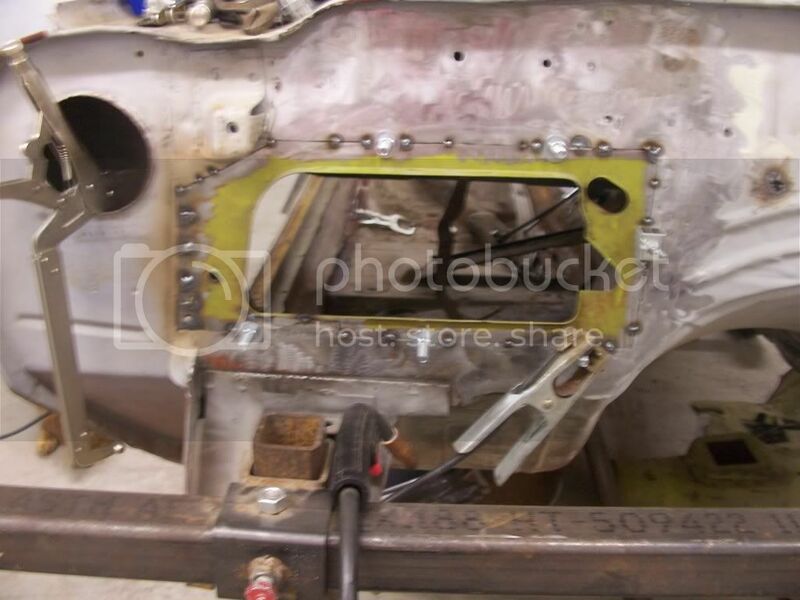 I even added tabs on the rear most crossmember to locate the hole through the frame rails where the shackle bushings mount. I also added another cross member for the rockers to sit on while I removed the complete trunk floor and frame rails. 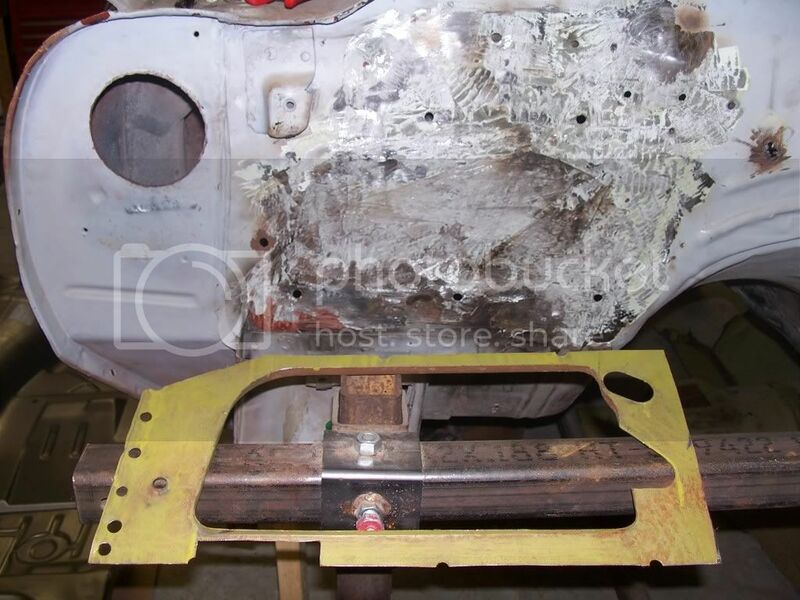 This added crossmember also has holes drilled and tapped to locate the torque boxes in their correct locations. I also made bolting points for the rear most subframe mounts by using a 3" long piece of the 2 x 3 rectangular tube turned on its side. 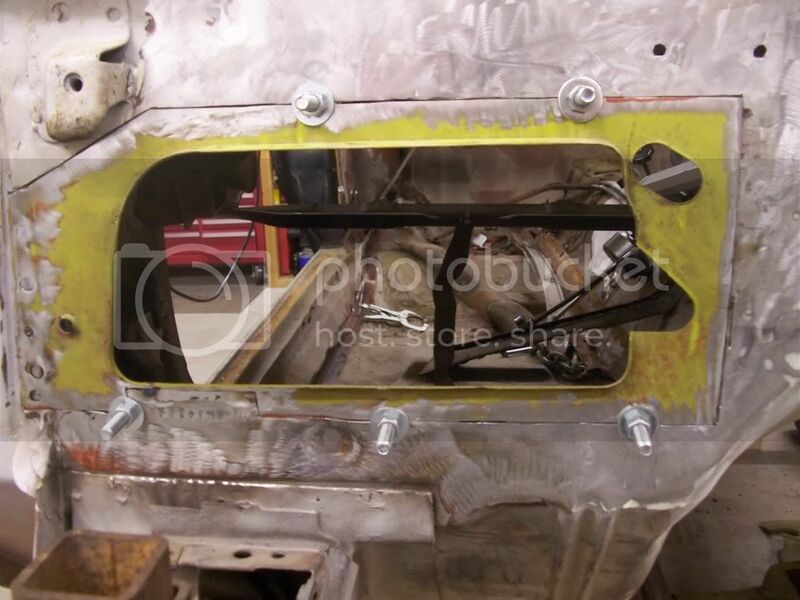 I also added two 2 x 3 vertical uprights to catch the fender mounting points on the firewall for when I removed the subframe mounting points from the firewall. I missed not having tie down points welded to the jig when I took the car on a trip to my office/shop where I sandblasted it a few weeks ago. Here is the new rear assembly almost ready to go in. I thought I was almost done tearing it down, but the A pillars need some attention due to rusting from the vinyl top and also the inner dash structure . On the second gens there is a structure between the outer rocker and inner rocker near the lower door hinge mounting point that is rusted away. I have fabbed up the new pieces, and just need a visit from the sand blaster to clean up what is left and then weld in the new steel. 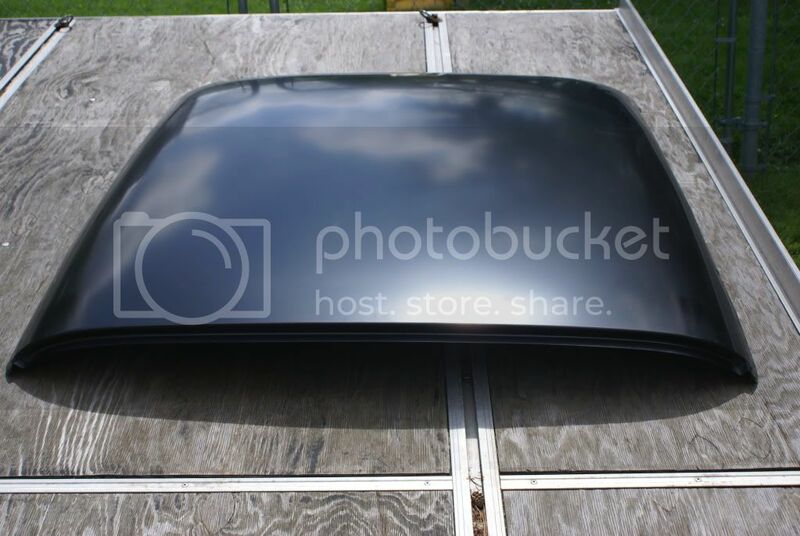 The roof skin is next on the list to be removed. 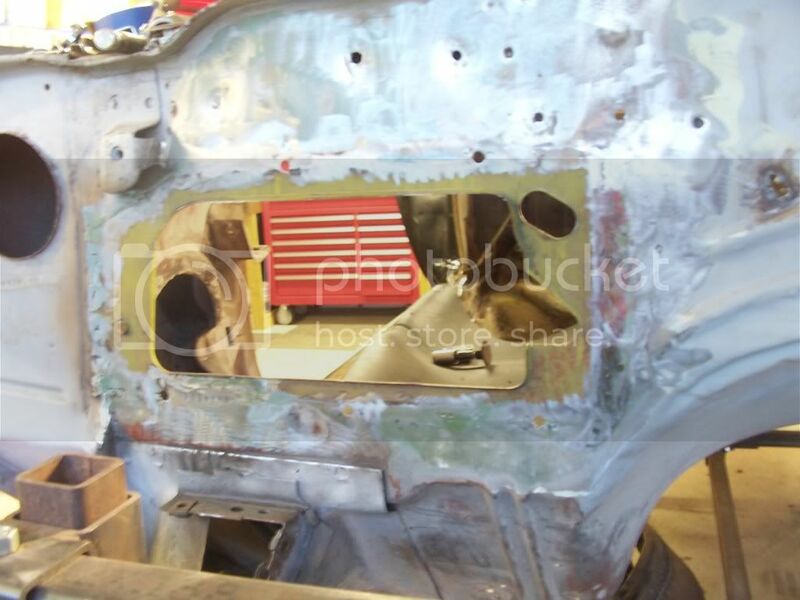 The only thing left original will be the inner quarter structures, the firewall from the toe boards up, the inner cowl assembly and the inner roof structure. I bought this car in Kentucky in 2001 becuase it looked like almost all of the body work was completed. 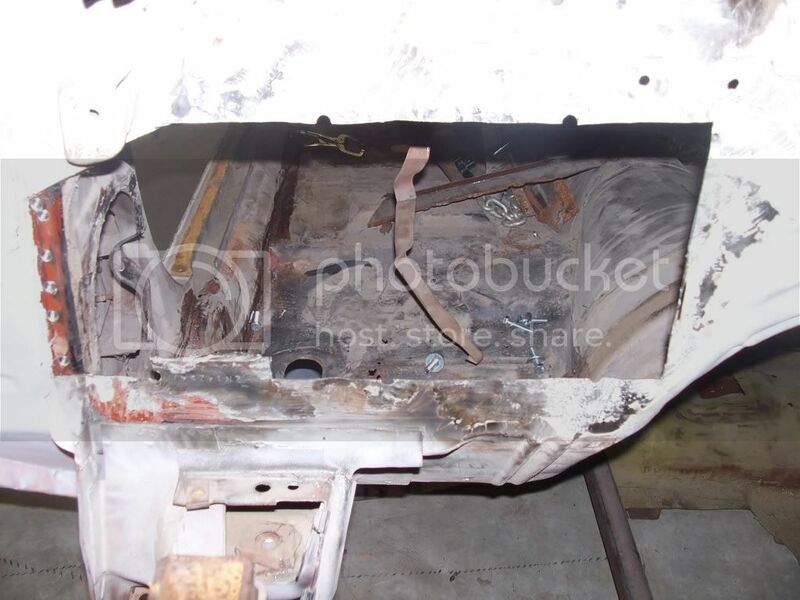 I thought is was in better shape than the other 72 Z28 project I had at the time. Boy was I mistaken. It has been a lifelong dream of mine to have a 70-73 RS Camaro, and now I am slowly making that dream a reality. More build pics to follow. I have even done the reverse of most people. Instead of smoothing the firewall, I undid what the previous owner did, and "unsmoothed" the firewall back to its factory condition. Welcome to the board Project-Z! Looks like you have your work cut out! I love watching all of these builds, Nice job on the cart and keep those pictures coming. 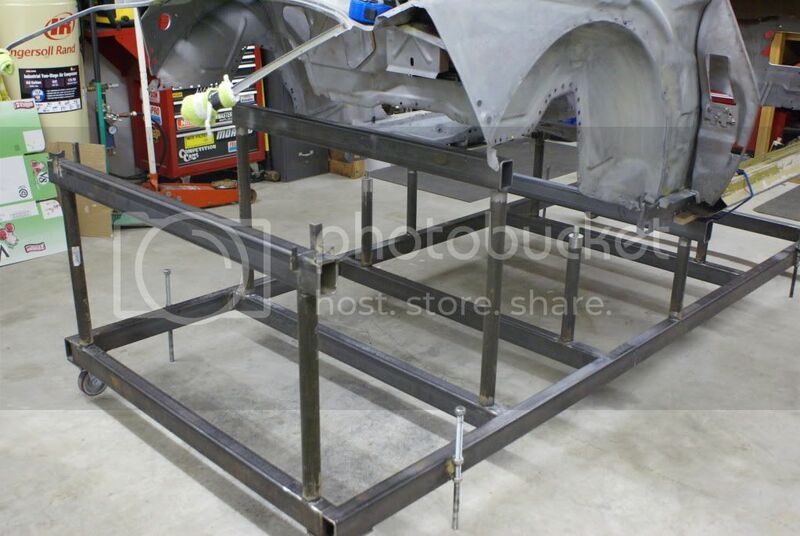 Nice job on the jig setup, with work like that I could only beleive the outcome of the project will be as nice. I'm going to have to disagree with the "I'm not a professional" comment. Looks like some very aggressive work so far. Good job. Looks like you got alot of work ahead of you. Should be SOLID once all that panel replacement is done. Looking forward to seeing more pics? 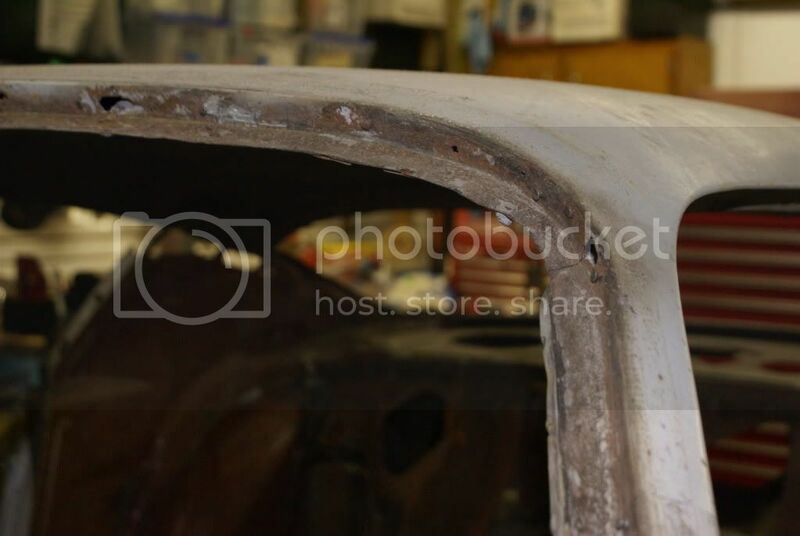 The previous owner used USC All Metal to fill in all of the rust holes in the winshield and rear window. After removing the filler, I started to replace the channels in 8-10" increments, but there were a few dents in the roof also. For what the replacement skins costs I couldn't go wrong. I will post more pics of the skin swap when the time comes to conquer it. 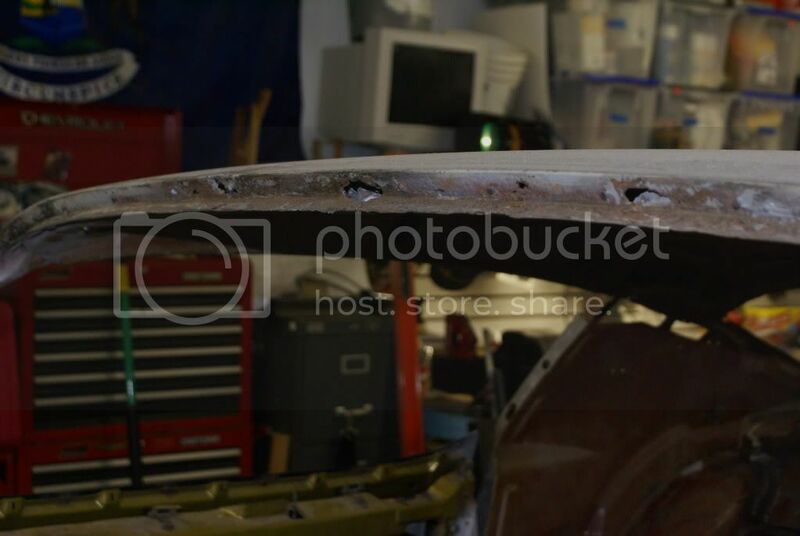 The previous owner wanted that smooth firewall look, and I decided that I want to have a stock restoration. I replaced this on my home made rotisserie before I found out how bad the frame rails and trunk were. This was probably a year and a half to two years ago. 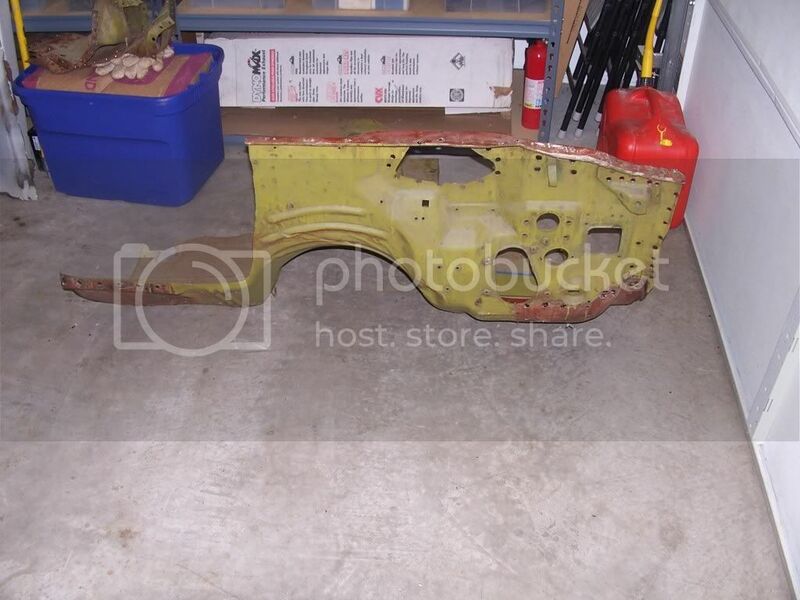 I cut the donor firewall out of my last '72 before I scrapped it. Fortunately, the previous owner did not mess up the hidden vin, and I replaced the section around it. My firewall cut out to match the donor piece. 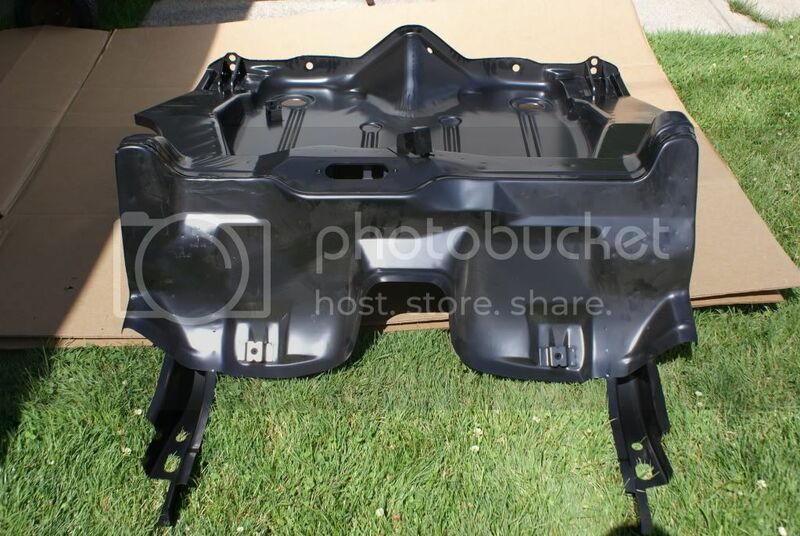 I usued the original holes to locate the donor part. All welded in and ground down. Man what a pain it is to clean up all the welds. I have since changed over to using Esab Easy Grind wire in 0.023". It sure does make the grinding easier due to it being a softer wire. 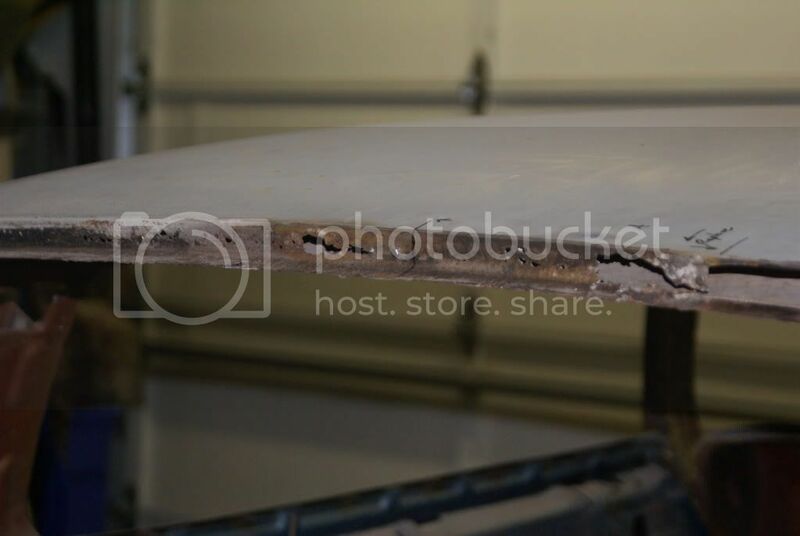 It more closely matches the properties of the sheetmetal. Since then I have bought a Lincoln PrecisionTig and tought myself how to Tig sheetmetal. It sure does take longer for proper fit up, but there is almost no grinding. Hopefully I will have picture of the reconstructed inner rocker and inner structure tonight. They are almost ready to weld in.